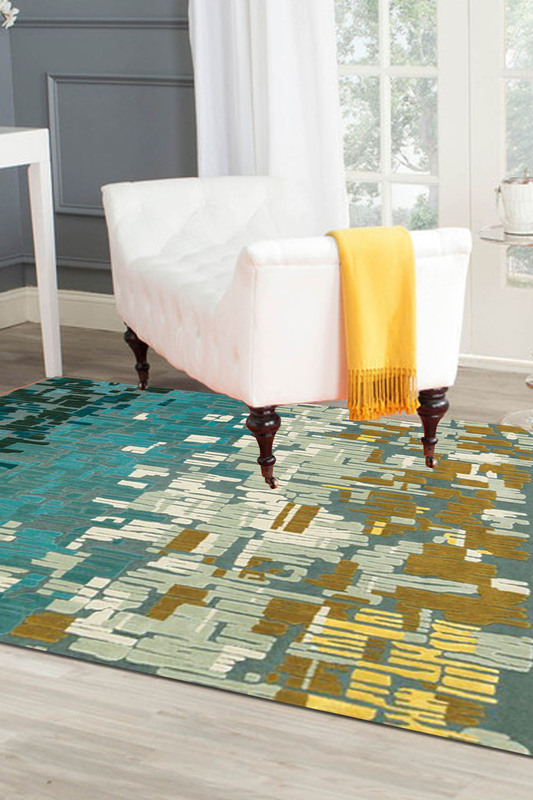 High-end designer rug with a sophisticated eclectic blend of colors. - One of a kind patterned rug is a mix of sea green, aqua, gray, ivory, mustard colors. - It represents a Jilted lover who is separated from his sweetheart. - The rug is Handmade with the finest Quality New Zealand Wool and is double weft. - Stunning designer rug exuding richness and chic look to any given room. - A Rugsandbeyond rug provides ultra sophistication to today's modern living. - Our recommendation: Perfect with the minimalistic decor and modern interiors to give a contemporary look.